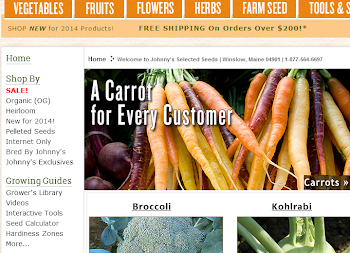 As spring gets closer and closer, many of us are feeling that urge to get our hands in the dirt - especially after long winter months of drooling over seed catalogs and just dreaming of what our gardens will become in the nearing growing season. Perhaps you've gotten a packet or two of some longer season flowers that you just couldn't bear to wait any longer to plant. After a few long days you've noticed some seeds have germinated and are doing well, a beloved sight of fresh green growth. Others, though, after germinating are starting to pinch and drop at the stem an inch or so above the soil line. A couple more days pass and there are many empty spots in the seedling tray, where it appears many seeds did not germinate. Upon closer inspection, you find they did indeed germinate. Many died before even popping green shoots toward a lovingly placed grow light. It's then that you know your precious seeds and seedlings have dampened off. Life Cycle/Symptoms: Damping-off, a disease primarily caused by fungi, affects germinating seeds and seedlings. Pythium, Phytophthora, Rhizoctonia and Alternaria are all fungi that commonly cause damping-off. Hundreds, even thousands of seedlings can become colonized by damping-off fungi, resulting in large losses. Emerging shoots of germinating seeds will have a water-soaked appearance or look visibly decayed, while seedlings will develop a shriveled, darkened pinched appearance at the soil line to an inch above the soil line. 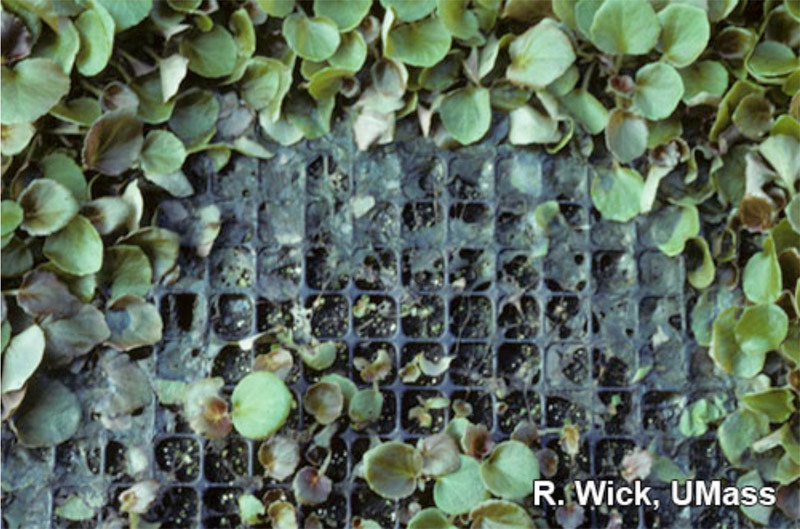 Tops of these seedlings may appear healthy, but over night infected plants topple over. Roots may or may not be rotted. Often, the fungi that cause damping-off can be easier noticed in beds or flats, as it will travel out in a rough circular pattern. 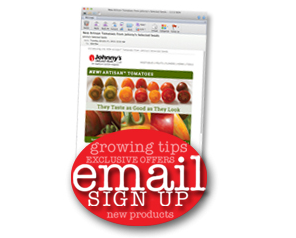 Plug trays inhibit this circular growth pattern. 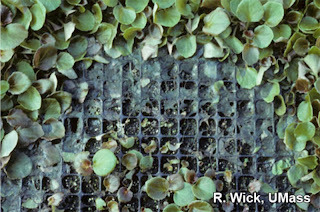 Seedlings grown indoors in greenhouse settings in containers are often more susceptible to damping-off than those in the field. Controls: The best method of controlling damping-off is to have firmly established cultural control practices in place. This means growing seedlings in well-drained soil with plenty of light. Air circulation is another factor. If you're at home and don't have the luxury of a greenhouse with circulation fans, use a small oscillating fan pointed at seedlings. This will help the soil to dry out faster, and keep leaves and stems dry. Avoid overhead watering. Instead of a watering can, place plug cells in a shallow tray of fresh water and then remove the tray when the top of the soil medium is moist. Using a sterile potting media can reduce the risk of bringing damping-off contaminated media into your home or greenhouse. Unwashed hands, gloves, clothing and footwear can also provide means of the various fungi to enter the greenhouse or home. It is also very important to keep trays and hose ends up off the floor were fungi can collect in loose debris or stagnant puddles. A drench can also be done on the potting medium with an approved fungicide like Champ® WG. This copper hydroxide-based fungicide is approved for a broad-spectrum of disease/fungi control. As always, follow label instructions carefully and always wear the proper personal protective equipment. Get the pest control services for your home and keep your home clean by keeping the pests from your home. The cheapest pest control singapore provides the proper pest control services. Pest control services are important for the healthy plants and healthy environment in home. Advance Pest Control is one of the Pest control Delta who provides the proper pest control services. nice post love to share.